Welcome to Music Friday when we bring you popular tunes with jewelry, gemstones or precious metals in the title or lyrics. Today, Swedish pop group Ace of Base sings about turning tears into pearls in the 1995 love song, "Experience Pearls." In this song about mending a broken heart, vocalists Linn and Jenny Berggren tell the story of a woman who is willing to do anything in her power to eliminate her lover's pain. They sing, "Give me all your tears / Let me turn them into pearls / Let me turn all the tears / That you've cried into pearls / Hand them to me, I'm gonna keep / Keep them for you / I want to hold you / I want to kiss you / I want to mend what is broken." Later in the song, songwriter Jenny Berggren uses the term "experience pearls" to describe the transference of pain from him to her. She vows to wear his tears — in the form of pearls — close to her skin. The last verse goes like this... "I'll wear your pearls more precious than silver / I'll wear your pearls so close to my skin / I'd tear myself apart just to get you / And so I've made up my mind / And so I've made up my mind." "Experience Pearls" appeared as the 16th track of Ace of Base's wildly successful second album, The Bridge, which charted in 19 countries. More than eight million copies of the album were sold worldwide. 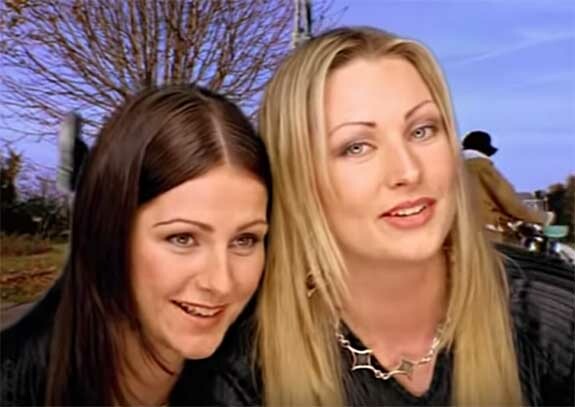 According to the band's official site, the Ace of Base story started in the early 1990s when the three Berggren siblings (Jonas, Malin and Jenny) formed the techno band Tech Noir. Next to their rehearsal room, Ulf Ekberg played in another band. Soon, Jonas and Ulf hit it off, started to write and produce together, and Ace of Base was formed. After recording a demo tape of original songs, including the future blockbuster hit ”All That She Wants,” the band went to Stockholm where the members pitched all the major record companies. None showed any interest. The common critique was that their songs were "too obvious" and "too simple." Undaunted, the band's next stop was Copenhagen, where executives at Mega Records immediately saw the band’s potential and loved their positive, uncomplicated and slightly reggae-tinged pop music. Trivia: The group's debut album, Happy Nation (released as The Sign in the U.S.), sold 25 million copies and remains in the Guinness record book as the best-selling debut album ever. And I'm gonna keep, keep them for you. I'll wear your pearls so close to my skin.